Strategically located on the southern banks of the Ohio River you will find the city of Owensboro. Owensboro is an energetic city that is known as the industrial, medical, retail, and cultural hub of western Kentucky. At Action Pest Control we have developed pest control programs that will meet the exact needs of your Owensboro property, protecting it and your family and friends from the threats that common Kentucky pests can introduce. Whether you are looking to protect your property from ants, spiders, bed bugs, termites, roaches, rodents, or more we have an effective, discrete, and affordable solution for you. Contact us today to learn more about our local company and our customized pest control solutions. With hot, humid summers and moderately cold winters, Owensboro, KY is the perfect place for insects and rodents to call home. And as the 4th largest city in the state by population, there are a lot of homes (and businesses) they can call their own. At Action Pest Control, we have an office located right here in Owensboro on Sweeney Street, so we understand the insects and rodents that commonly infest properties. To help homeowners in Owensboro get rid of ants, mice, spiders and other common household pests, we offer 3 levels of home pest control that is sure to meet every need and budget. For business owners, we offer commercial pest control services that are completely customizable to meet audit standards for your industry. We also offer termite control services. Termites reside in every state except Alaska and cause nearly 5 billion dollars in damages annually, so protecting your property from these wood destroying insects is a top priority for us at Action. If you're ready to take back your home or business from pests, it's time for you to take action and get Action today! Mice and rats enjoy our homes just as much as we do. With ample food, water and shelter, rodents will stick around if proper control measures are not in place. 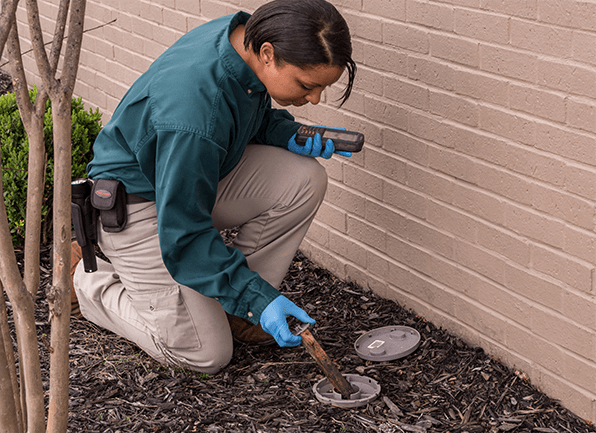 Action offers rodent control services specifically designed to get address existing infestations and help to prevent future encounters with mice and rats in your Owensboro home or business. Not only are rodents unsightly to residents, guests and customers, but they pose many health risks as well, making rodent control an important part of any pest management plan. A thorough inspection of your home and property is completed. Any necessary treatment(s) are completed to get rid of existing pest activity. Click here, to learn more about protecting your Owensboro home from our area’s most common household pests. Vacuum your home regularly and thoroughly. Keep personal belongings up off of the floor when out in public. Know what bed bugs look like. Know what the signs of a bed bug infestation look like. Understand that bed bugs can be found in almost any public environment. Always contact a professional for help at the first sign of bed bugs living inside of your home. If you ever discover what you think are bed bugs inside of your home, immediately contact Action Pest Control. The bed bug professionals at Action Pest Control will inspect your home with our highly trained and accurate bed bug dogs. If after an inspection bed bugs are discovered, we can completely eliminate them from your home using heat; heat is an eco-friendly, affordable, non-invasive, and highly effective method that quickly works to eliminate all stages of bed bugs. Click here, to learn more about bed bugs and protecting your home and family from their presence! At Action Pest Control our supervisors, managers, and entomologists work together to provide you with the highest level of service in order to eradicate current pest problems, create an environment that is unattractive to pests, and to prevent future problems with reputation damaging pests. We are so successful at protecting commercial facilities from pests because of our dedicated professionals and our customized pest control solutions that are completed through our 10-step preventative pest management program. This program includes: Inspection, Monitoring, Identification, Sanitation, Exclusion, Harborage Reduction, Mechanical Controls (traps), Environmental Controls, Product Application, and Documentation. To learn more about protecting your Owensboro business with the help of Kentucky’s commercial pest control experts- Action Pest Control; give us a call today! Is Your Owensboro, KY Property Protected From Termite Damage? Homeowners living in Owensboro and throughout Kentucky need to protect their properties and bank accounts from the extensive damages that wood-eating termites can cause. Termites live throughout Kentucky, they don’t sleep, they work around the clock, are active throughout the entire year, and have the potential to invade any property at any time. To protect your Owensboro property from these invasive and damaging pests, the professionals at Action Pest Control highly recommends putting into place a year-round termite protection program. Action can protect Owensboro properties from termites through our Five-Step Termite Control System which includes an interior and exterior comprehensive termite inspection of your property and treatment for termites using Termidor® which eliminates termites very effectively through both ingestion and contact. Our termite control system also provides a three-month termite elimination inspection to make sure that the infestation has been completely eliminated, an annual termite inspection to ensure that your home has remained termite free, and for even more peace of mind a money-back guarantee and damage warranty. Call us today to schedule a termite inspection for your Owensboro home or business! Why Are Wasps and Bees Invading My Owensboro Home?